The past few weeks have been transformational for the prospects, or rather lack thereof, for peace between Israel and Palestine. US Vice President Mike Pence gleefully confirmed in a speech to the Israeli Knesset that his country’s embassy would move to Jerusalem by the end of 2019, as the US administration announced it would withhold $65m for UNRWA, the UN agency that provides services for Palestinian refugees. This, coupled with US President Donald Trump’s insinuation that millions of dollars in US aid to the Palestinian Authority (PA) should be cut after their “disrespectful” snub of Pence, has confirmed the current administration’s bias towards Israel, underscoring the PA’s conclusion that the Americans cannot play a role in any future peace process. Husam Zomlot, the Palestinian ambassador to the US, said in a speech to the Middle East Institute that Trump had backstabbed Palestinians, not only taking Jerusalem off the peace table, but also taking “the table altogether”. The Americans continue to claim they are developing the “deal of the century” while using a combination of bullying and blackmail to attempt to force Palestinians back to the negotiating table, from which they believe they have removed both Jerusalem and refugees’ right of return. In his highly analysed speech to the Palestine Liberation Organisation (PLO) Central Council, Palestinian President Mahmoud Abbas recommitted to negotiations and peaceful popular resistance as the two strategic pillars to reclaim Palestinian rights. However, the PA has shown little leadership in developing a national strategy for popular resistance, and is continuing security cooperation with Israel – which Abbas has called “sacred”. The central council recommended the suspension of this security cooperation and, for the first time, urged the PLO’s executive committee to adopt the Boycott, Divestment and Sanctions (BDS) movement as a means of pressuring Israel. It also recommended suspension of the PLO’s recognition of Israel and announced the expiration of the Oslo Accords. The PLO’s Executive Committee recently met in Ramallah to discuss the Central Council’s recommendations. It agreed to set up a higher level committee to study the recommendation to suspend recognition of Israel. No date was set for it to report on this important decision. There was no mention of the recommendation -made for the second time- to suspend security cooperation with Israel. In terms of a change in the PA’s strategy for achieving Palestinian rights, there was little emerging from the meetings of the Central Council or Executive Committee. The key change the PA might be pursuing is a search for an alternative to the US as a sponsor for future peace talks. The PA initially saw the EU as the prime body to replace the US; shortly after his speech in Ramallah, Abbas flew to Brussels to meet Federica Mogherini, the high representative of the union for foreign affairs and security policy. Mogherini also reaffirmed the EU’s opposition to the “settlement activity that we consider illegal under international law”. She reminded Abbas that the EU has “already invested a great deal in the Palestinian state-building project” and vowed that EU financial support would continue, “including to UNRWA”. For his part, Abbas thanked the EU for its financial support and asked that it continue to play a political role in the Middle East peace process. He reiterated the Palestinian commitment to fighting “terrorism, violence and extremism“. In a direct snub to the PLO Central Council, Abbas affirmed his commitment to previously signed agreements- meaning Oslo Accords – to which he said Palestinians had adhered, and urged Israel to implement its responsibilities under the deals. He also called on EU member states to recognise the state of Palestine. In a subsequent announcement, Mogherini pledged the EU would contribute an additional €42.5 ($53m) to Palestinians after Trump’s decision to cut support, including €14.9m to “preserve the Palestinian character of East Jerusalem”. Thus, far from rising to the occasion and using its historic and financial ties to Israel and Palestine to play a greater political role in formulating a way out of the current impasse, the EU will simply sustain the status quo. 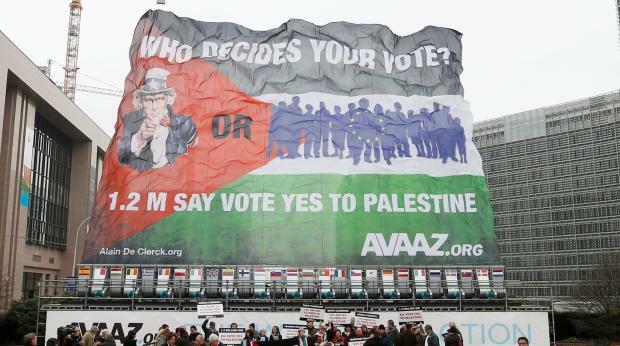 Nine European states, including Sweden, already recognise Palestine as a state and it seems Slovenia may be next – yet the EU as a bloc has not given any indication that it may follow suit. The EU continues to support Israeli universities through its research programme, Horizon 2020, though it distinguishes between institutions on either side of the Green Line. Its position that Israeli settlements are illegal under international law has not been matched with commensurate action. 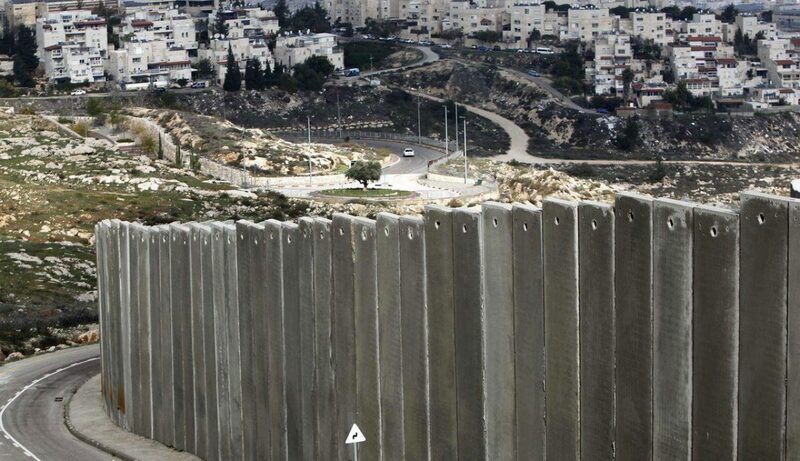 It took the EU many years to simply take a position that goods from the illegal settlements should be labelled. To counter Trump’s recognition of Jerusalem as Israel’s capital, the EU could have moved to ban goods from the settlements and to compel businesses and banks to seize any activities that support their continued existence through trade. However, there are no signs it will do this. Following the decision by Israel to deny entry to human rights activists from EU member states for their solidarity and support for BDS, including European elected officials, the EU could have moved to impose a tougher visa regime or even ban settlers from EU countries due to their violation of international law. This would include some senior Israeli politicians and members of the extremist Israeli government who are not committed to a two-state solution and have called for annexation of the West Bank. The EU could ban the sale of arms to Israel, as these could be used to violently entrench the occupation and to attack Gaza. The reality is that the EU has the tools to match its words with action, but it has thus far shied away from using any of them. Its policy can be seen as action-light. In contrast, America’s support for Israel is action-heavy, politically through the use of its veto in the UN Security Council and financially through providing it with half of its annual aid budget, while threatening to reduce the pittance it gives to Palestinians to bully them into negotiations. If the EU is to be taken seriously as a broker for peace, it must make disruptive decisions to pressure Israel – moves as significant as America’s recognition of Jerusalem as Israel’s capital. Can the EU walk the walk or will it simply continue to talk the talk? 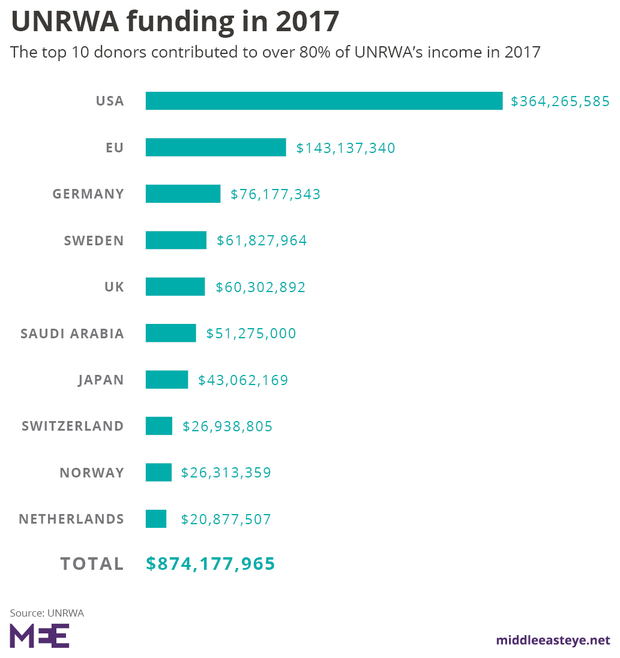 Interview: Is the US using aid to UNRWA as a method to extort and blackmail?